There’s a fellow out there that has created a business out of retro-fitting bikes, scooters and skateboards with harness devices that turn these wheeled transports into dog-powered rides. 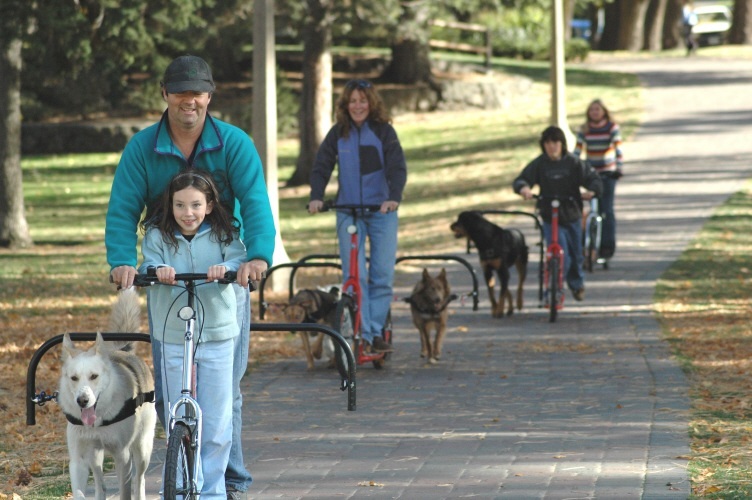 Looks like a great idea for exercising dogs that want to go, go, go. Visit the Dog Powered Scooter website to learn more. 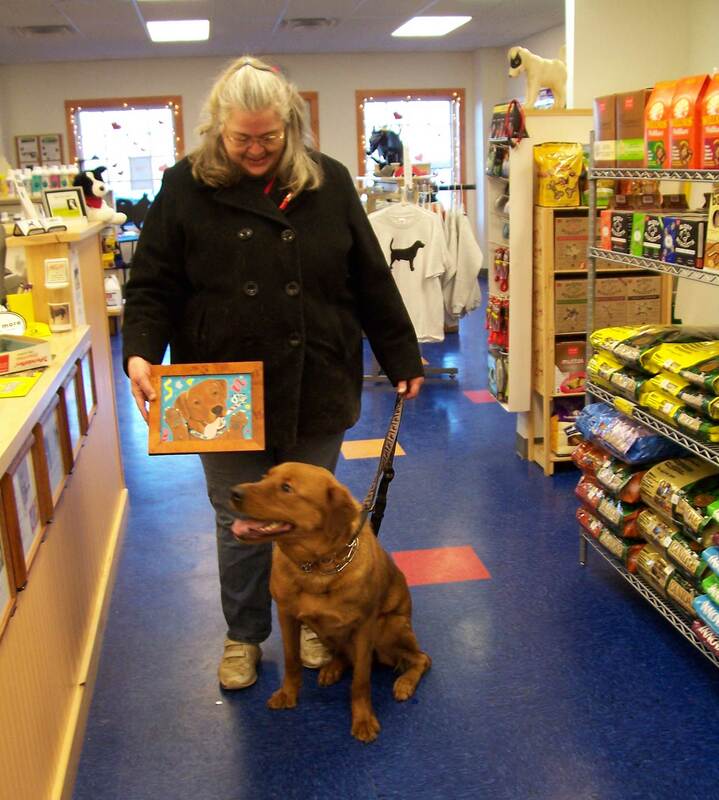 Gail and Ginger received their Cameo Canine portrait Saturday at Dog Wild Canine Supply. 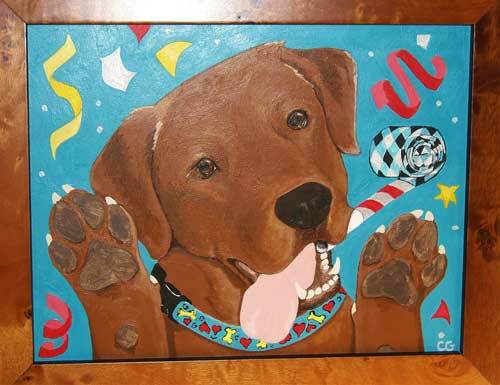 The portrait was won in the Dog Wild Halloween raffle to benefit Home-to-Home, the pet adoption alternative. When artist Cat Gareth asked Gail to tell her about Ginger, the one thing that stood out most was that Ginger is ALWAYS happy. The title for this portrait is “C’mon Get Happy”. Cat Gareth, uses photographs and stories owners tell about their pet, to create unique, custom pet portraits that are more than just a likeness of the pet, but rather an illustration of the pet’s unique personality and experiences. To see other pet portraits or to contact artist Cat Gareth, visit Cameo Canines on the Home-to-Home website. This is a wonderful video that show cases the gracefulness of border collie herding with the art of imagination. Maybe you’ve already read about Jasmine the deer that has taken on the role of soother and healer for a variety of other animal species. But if you haven’t it’s really a great story that highlights the mystery of animal to animal communication and the power of compassion.